Happy 2014 Everyone! I pray that the new year has been treating you all well!! So I am officially back in Seattle after spending the holidays down in Portland with the family. And while vacations is fun, it is always nice to return to your own place…your own bed. 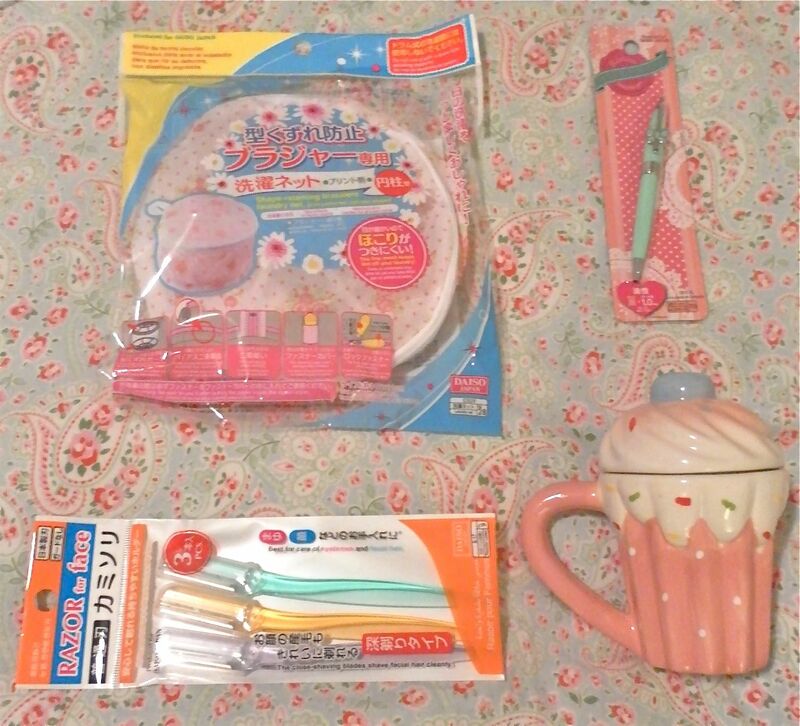 Yesterday I was down in the International District with a bunch of friends and we happened to stop into the Daiso down there. So I thought I would post a few pictures of my haul for all of you! 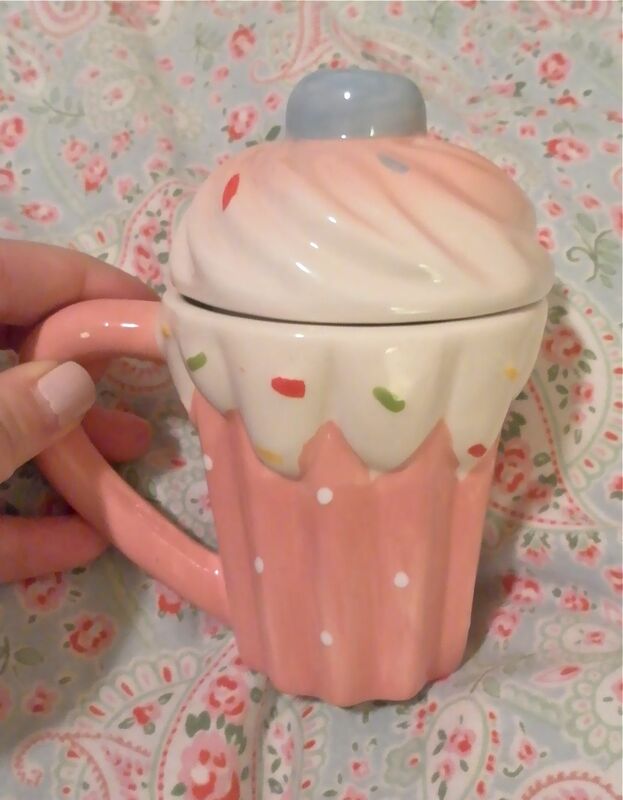 First off, how fracking cute is this mug?! I tend to drink quite a bit of tea at work, so I thought that this would look so cute on my desk. I mean, who doesn’t love a good cupcake?! So there are two reasons why I got this pen. 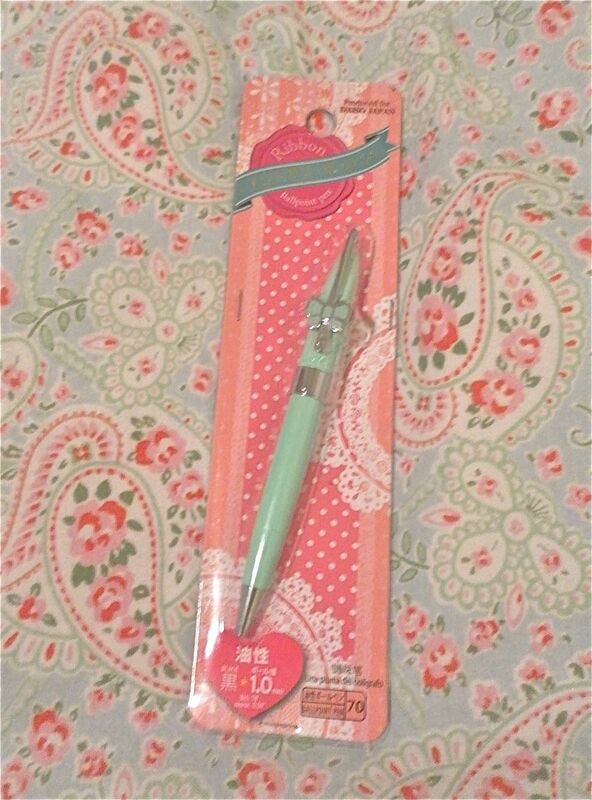 The first being that it is mint green and second being the cute bow…need I say more? 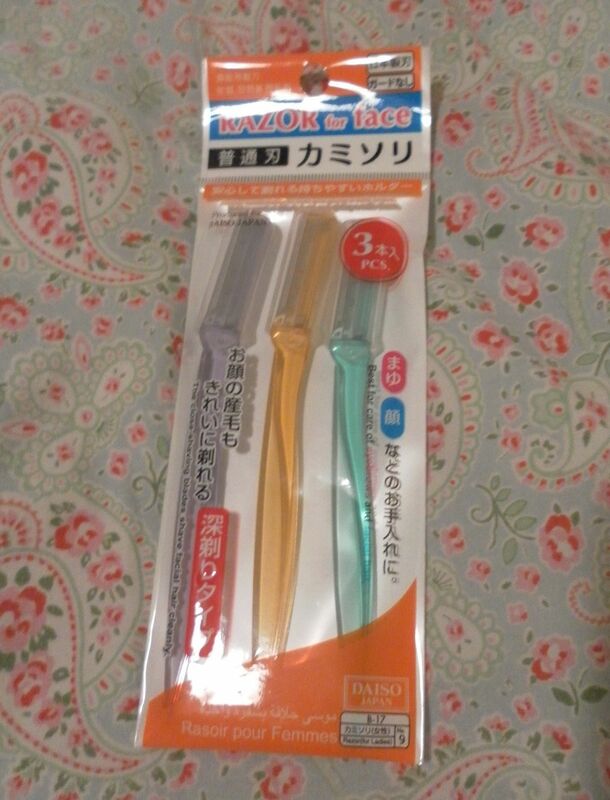 I like to use these single blade razors for the stray baby eyebrow hairs between waxings. 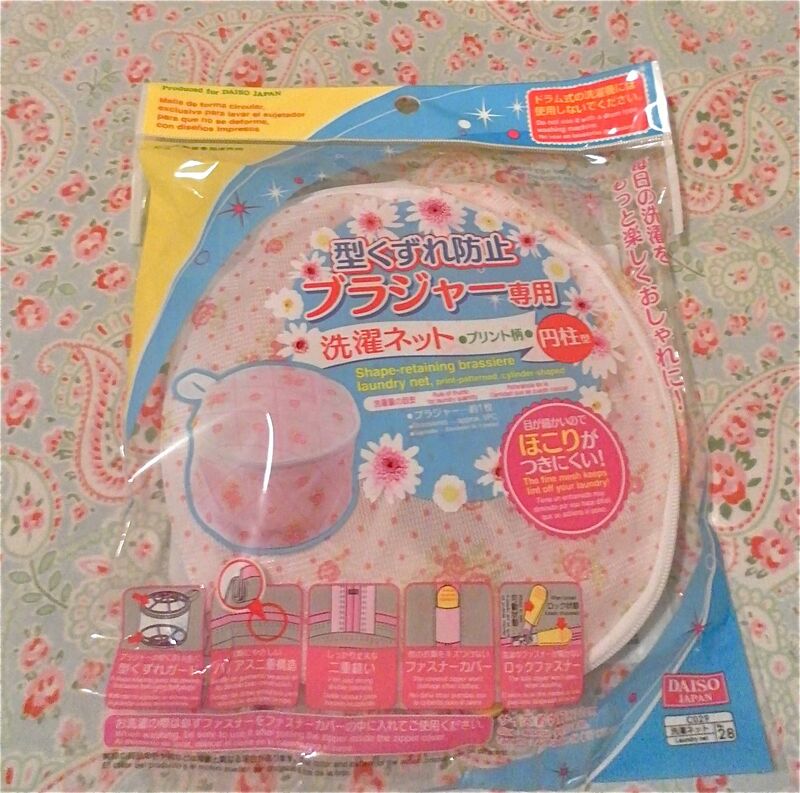 I believe I got this same pack in my last Daiso haul post! And last but not least is this undergarment washing bag. I am so lazy when it comes to hand washing anything…so I love throwing my delicates in these washer and dryer safe washing bags. Well that’s about it. I hope you enjoyed this quick little post and I will try and get more posts up in the near future with all of the funny goodies I was gifted with over the Holidays! YOU ARE SUCH A GIRL! Accidentally broke a colleagues one similar and need to replace it pronto! Previous Previous post: Ringing in the New Year!